Start every day with more energy with GO for energy! 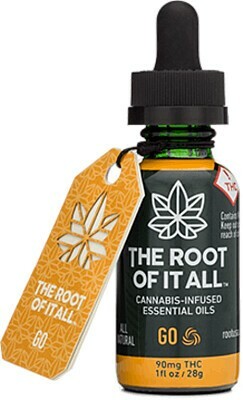 Our essential oil is made with a specific strain of sativa with 90 mg THC to get you moving. GO is infused with an Ayurvedic blend of cardamom, ginger, and rosemary; ingredients known to encourage warmth, alertness, and energy, naturally. Plant based, gluten free, vegan, and allergy friendly.